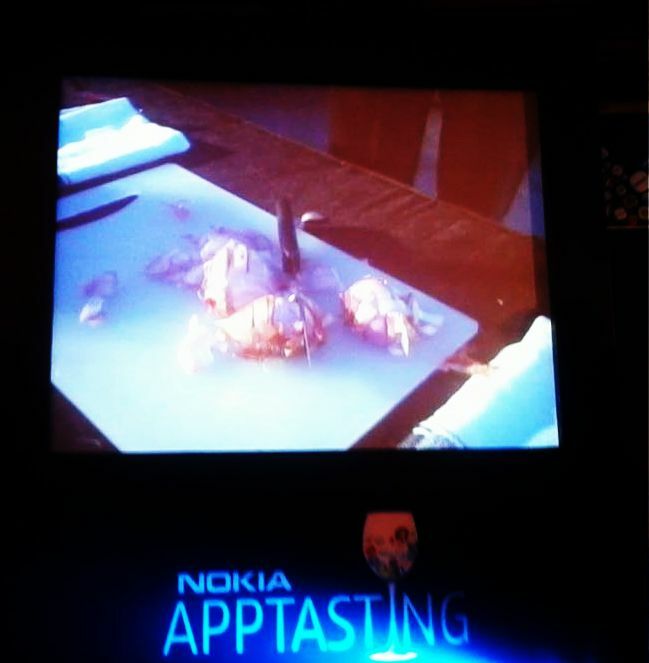 Caramel Wings: MasterChef meets Gadget Guru at the IndiBlogger and Nokia AppTasting Event. MasterChef meets Gadget Guru at the IndiBlogger and Nokia AppTasting Event. 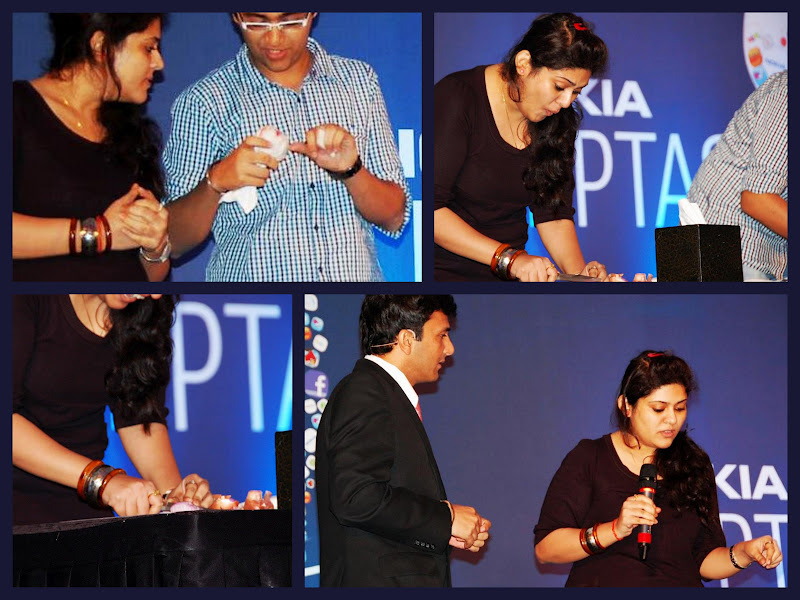 I got a chance to be present at a very unique event organized by Nokia and powered by IndiBlogger.in called the Nokia AppTasting held at the Taj Lands End, Bandra, Mumbai. 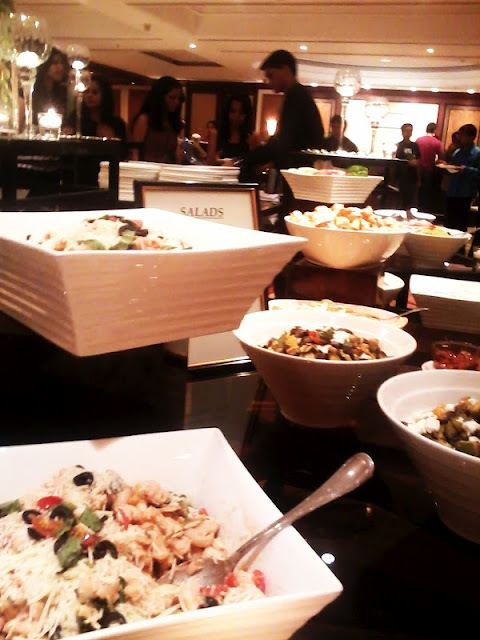 It was an event that merged both food and technology in its own way. No. Wait. 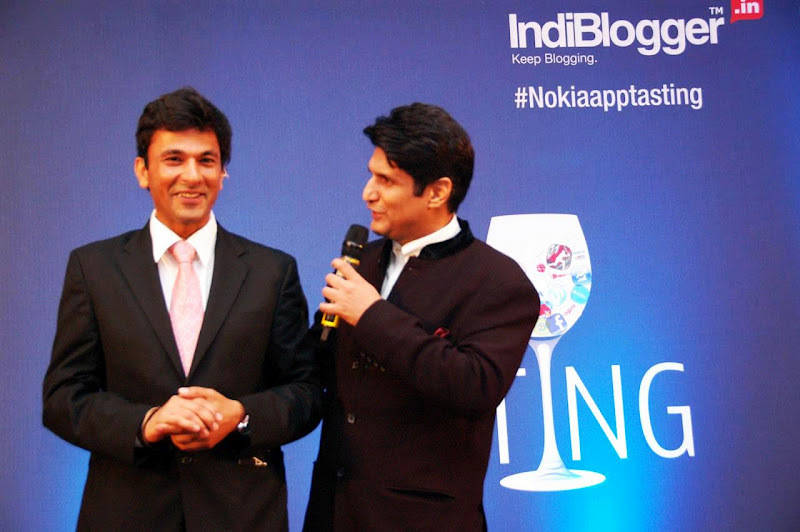 In Rajiv Makhni and Vikas Khanna's own special way. For those of you who don't know who these people are, Rajiv Makhni is the Tech Guru on Indian TV and Vikas Khanna is the hottest voted chef in the US and has cooked for Barack Obama in the White House, and is also a judge in MasterChef India. Also because I am a total girl, they are both very charming and I may have spent a majority of the evening just smiling sheepishly and nodding while the two gentlemen managed to swoon the entire crowd with their charm and wit. The dashing duo started out with introductions that stated a common link between the Techie and the Foodie, who both hail from Amritsar and have a common love for "Makhni" Yes, I love both Makhnis in this case. 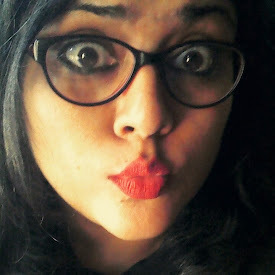 I am still waiting for the Angry Birds story from Rajiv Makhni though! We then got to know some of the bloggers who came up and introduced themselves and classified themselves as either a Foodie or a Techie. Surprisingly there were more Techies in the crowd! We got a chance to look at few interesting Apps featured on Nokia mobile phones like a Food and Wine pairing App, an App that showed us the nearest locations with their contact details without a GPS tracker, a picture editing App, a Video editing and publishing App and so on... But my most favorite App was the one that showed the percentage of alcohol in our body at any given time and advised us if it was safe enough to drive or not! Pretty cool for a technologically disabled person like me! Then a bunch of Foodies went up and I was one of them, but I scored a 9 while one of the 4 gentlemen competing against me chopped restaurant quality Onions and won the prize. Guy next to me cut his finger :( Hope he is fine now! 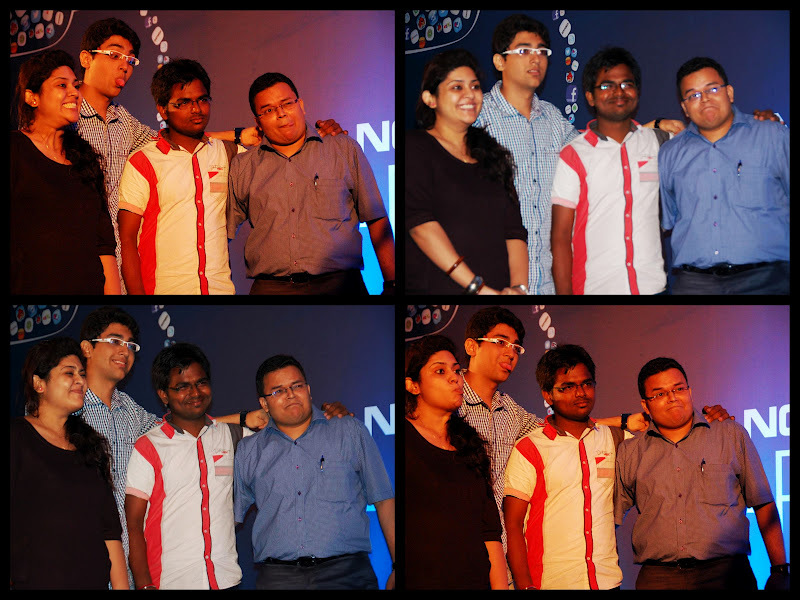 But the "non winners" got a chance to be a part of an app where with multiple clicks of the same picture, you could actually choose the best expression for each person from each pic and finally select a final picture! Here is me with 3 guys playing the random expression game. We then went on to more fun things like a dream App for everyone and the most witty answer was by a lady who said that she would want an App where we could fill in all the requirements for the perfect male and then be able to track such man! How I wish this was actually possible! 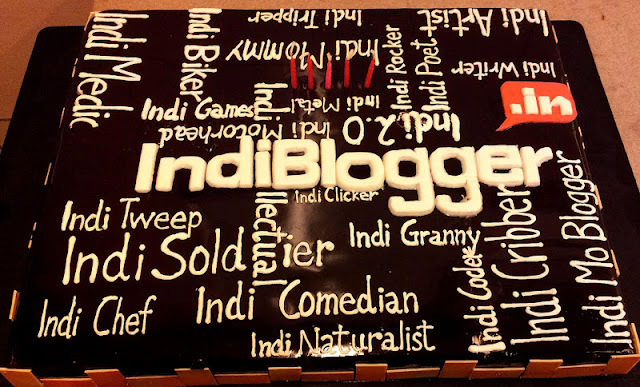 IndiBlogger.in gave us all free t shirts and as they complete half a decade of successfully bringing all the bloggers together, I just want to say, more power to you! Keep up the excellent spirit. As far as Mr. Vikas Khanna goes, I say that I promise to master my Onion chopping techniques and one day I shall cut an Onion that would score not a 10 but a perfect 11 (Coz I will cut it while dancing)! A standing ovation to Mr.Rajiv Makhni for managing to hold attention of a huge crowd that included people like me who have an attention span like that of a Gold Fish! I thoroughly enjoyed it! Great opportunity for you to get up and close with "the" Mr.Khanna! You at least managed to get the onions chopped, I would've been too much start-stuck to do anything :D.
*(Coz I will cut it while dancing)* Hehe!! This is the great achievement and the celebration is also very joyfull. I always take interest in information technology fields. I like your latest information technology news blog content and the topic selection. It overlooks part of downtown, and it was just magnificent. It’s a wonderful place for photos, and I took so many pictures of the view. They were simply spectacular.